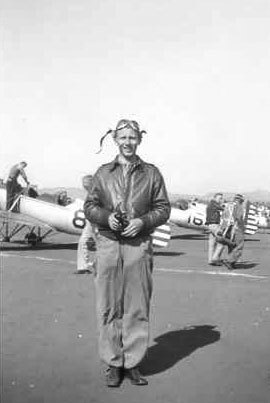 Bakalar Air Force Base (now Columbus Municipal Airport) was named in honor of 1st Lt. John Edmond Bakalar, who was killed when his P-51D crashed on September 1, 1944 in France during WWII. 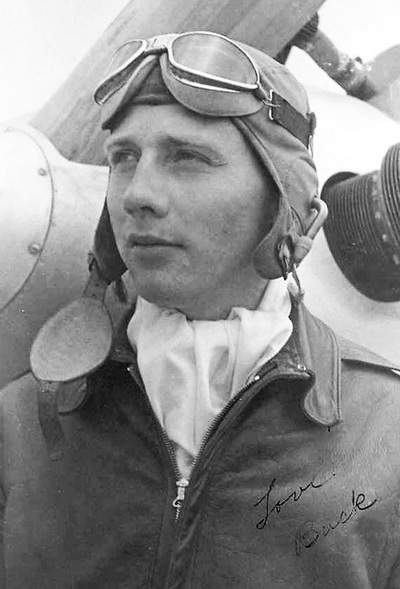 His photograph and military awards can be seen in the entrance to the Atterbury-Bakalar Air Museum. The 1st Lt. John Bakalar stone with plaque is in place at the entrance of the museum. This stone was by the former air base headquarters building when the base was active and then moved near the base of the control tower later. Bakalar Green at the Columbus Indiana Municipal Airport, the area between the airport's control tower and rotating beacon. is also named in honor of John Bakalar. 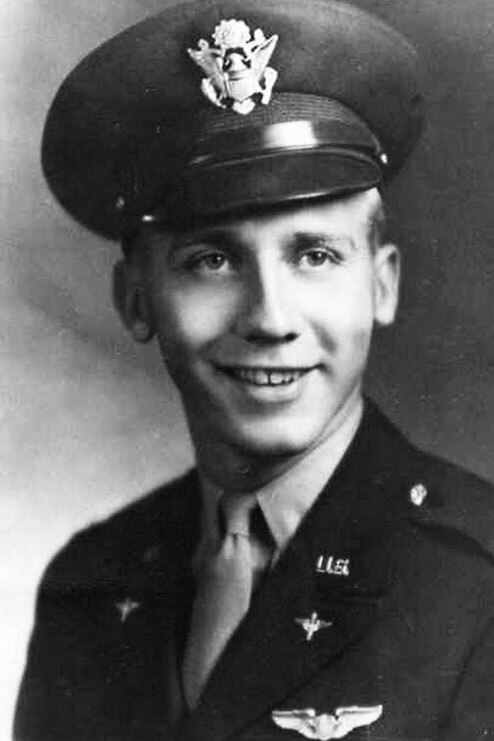 Born August 29, 1920 at Hammond, Indiana, Bakalar enlisted in the United States Army Air Corps at Fort Harrison, Indiana on January 26, 1942. 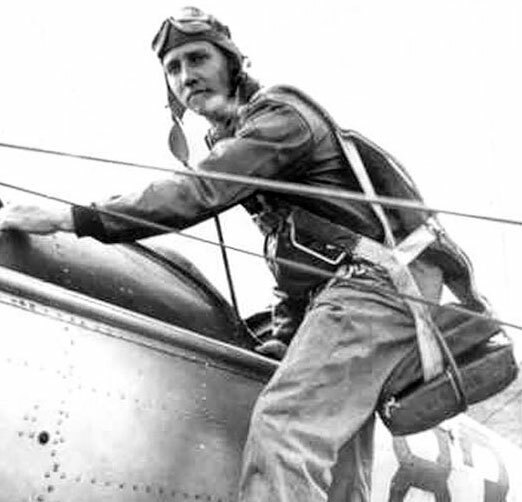 He departed the United States on May 3, 1944 for the 353rd Fighter Squadron, 354th Fighter Group in Europe. 1st Lt. Bakalar flew P-51s in the 9th Air Force. He was killed on a combat mission just two days after his 24th birthday. 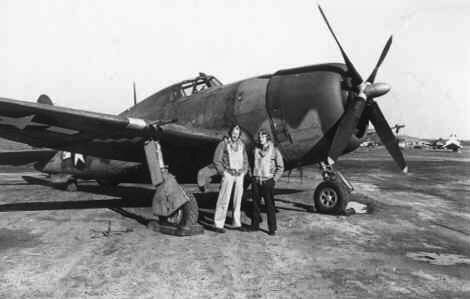 A snapshot of Cadet Bakalar at attention, with another airman by a P47 Thunderbolt Fighter, a 1942 photo of typical Air Corps Cadet training activities. 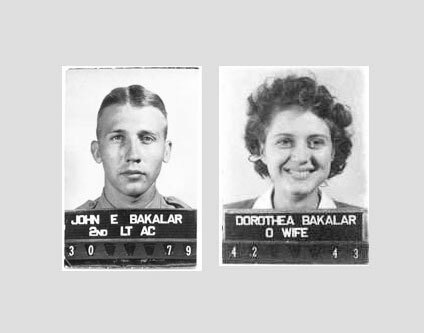 1st Lt. Edmond Bakalar and his wife Dorothea, in military ID photographs. Lt. Bakalar, center, with a couple of friends. 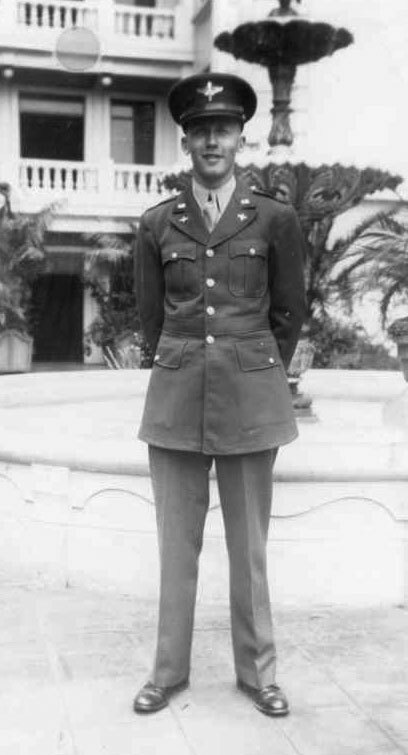 Lt. Bakalar in front of the Grant Hotel in San Diego June 1942. 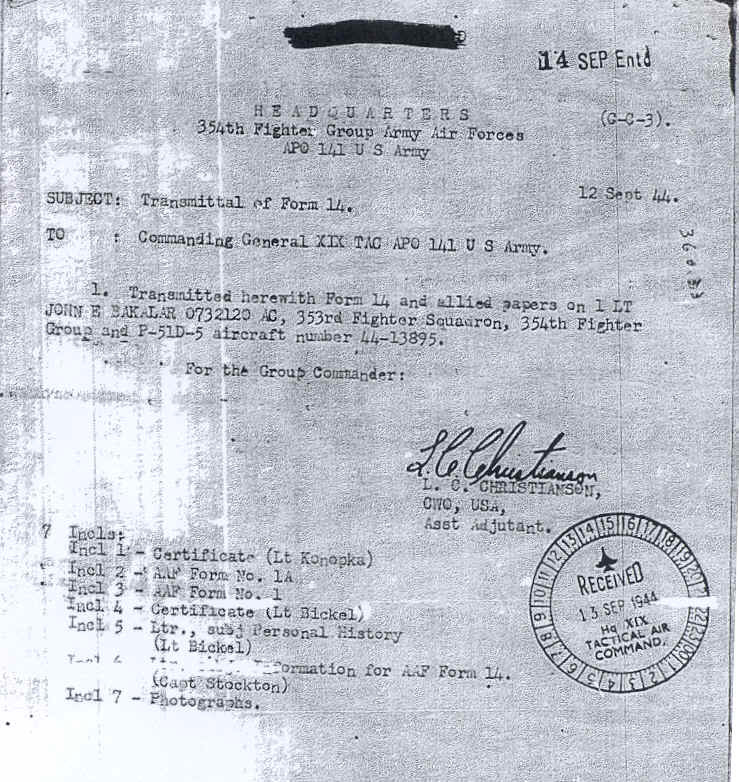 This interesting artifact from the Bakalar collection is a receipt for a P-40F that Lt Bakalar picked up in Albuquerque and flew to Luke Field. 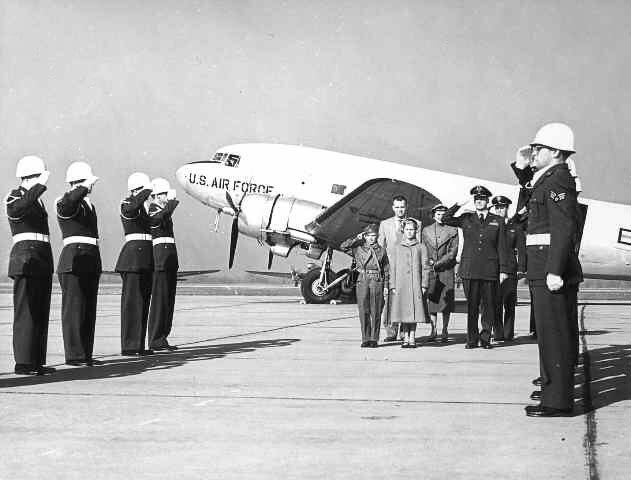 Photos from the November 13, 1954 dedication ceremonies renaming the Atterbury Air Force Base to Bakalar Air Force Base, hosted by the 2466th Air Reserve Flying Center. 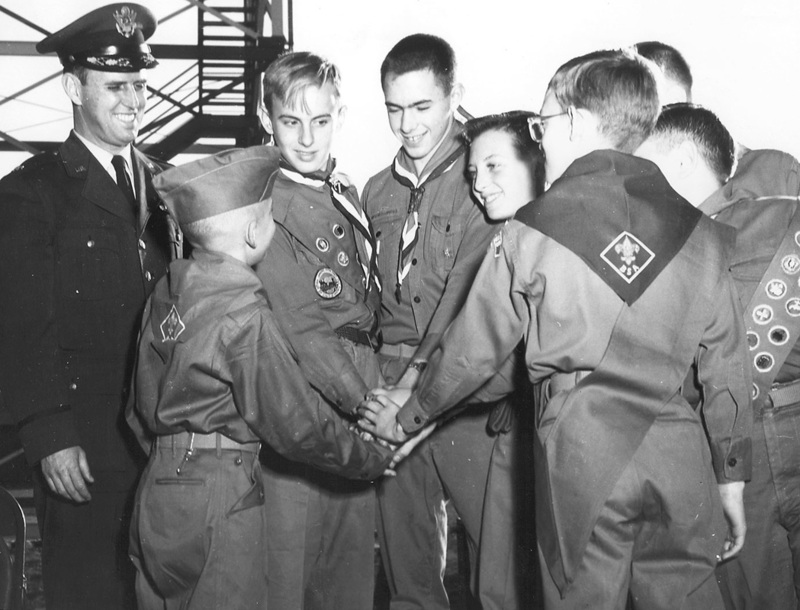 Children of John Bakalar, Robert E. and Suzanne J. Bakalar along with Dorothea Dugan, widow of Lt Bakalar, greeted by Colonel John O. Bradshaw, of the 434th Troop Carrier Wing and Colonel Herbert O. Hamilton, Atterbury Air Force Base/Bakalar Air Force Base Commander. 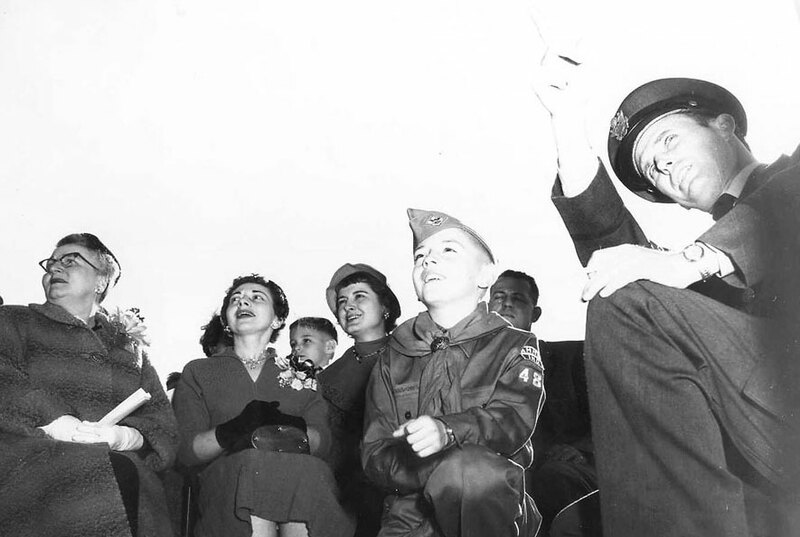 Marie Bakalar, Dorothea Dugan, Suzanne and Robert Bakalar view the November 13, 1954 dedication ceremonies. 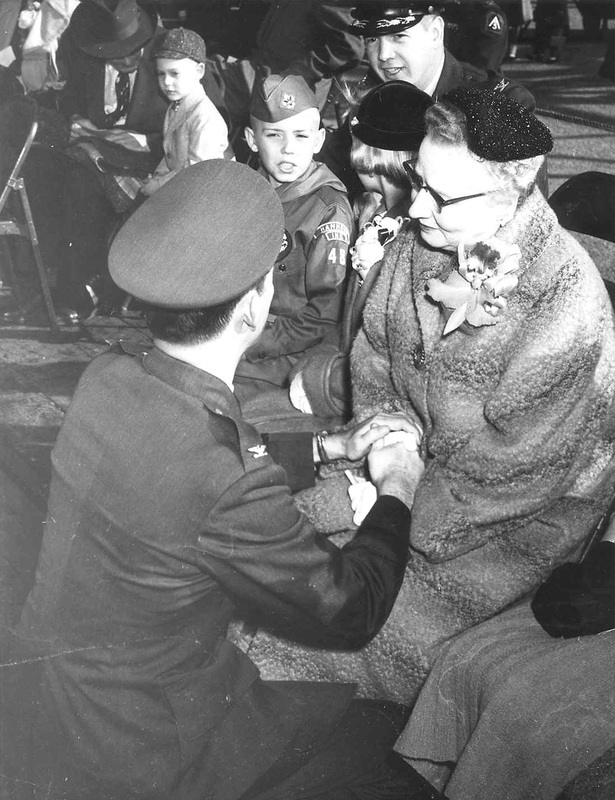 Colonel Hamilton and Mrs. Marie Bakalar, mother of John E. Bakalar with Suzanne and Robert Bakalar. 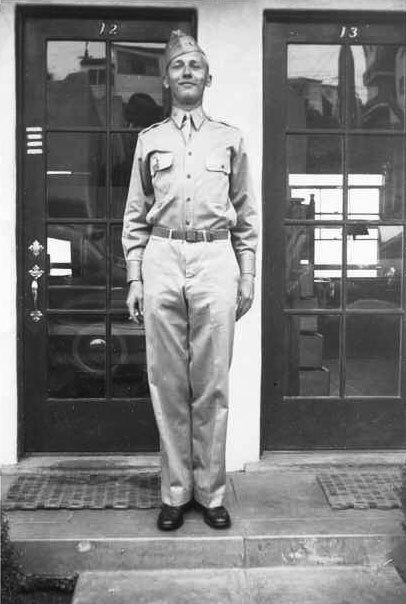 Major General Ralph. F. Stearley at the speaker platform. 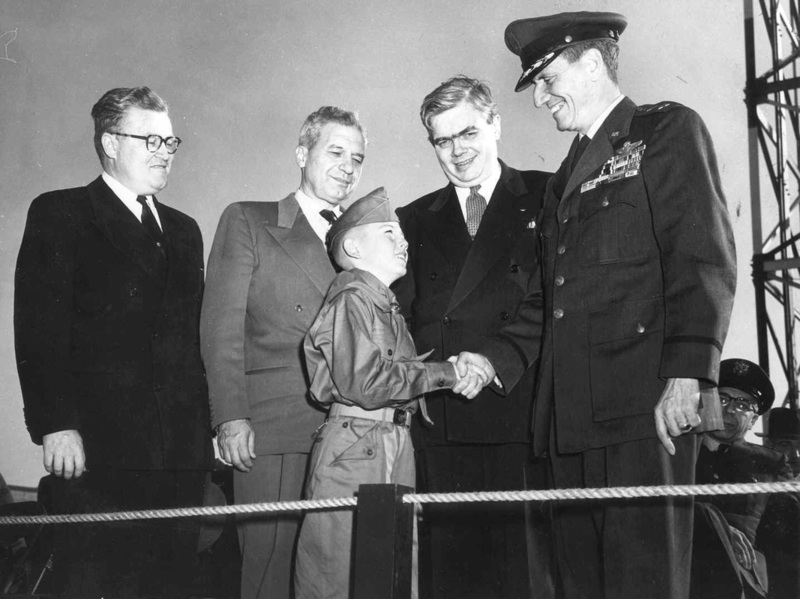 Robert Bakalar with State Senator, Milford E. Anness, representing Governor George N. Craig, U.S. Representative William G. Bray, U.S. Representative Charles B. Brownson and Major General Ralph F. Stearley. Robert Bakalar with Boy Scouts of the Bartholomew County Council and Colonel Hamilton. 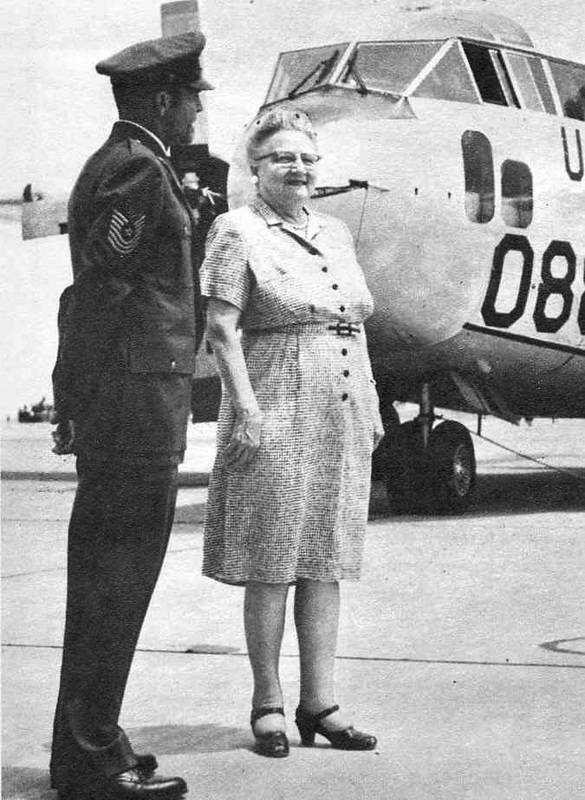 Mrs. Bakalar pictured during a 1965 visit to Bakalar Air Force Base. 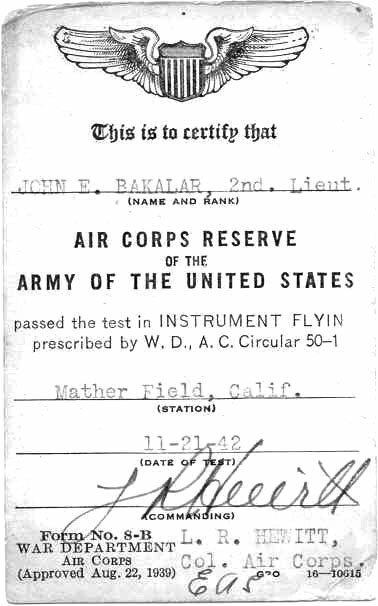 Mrs. Bakalar is the mother of John E. Bakalar for whom the base was named. She was 74 years old at that time. 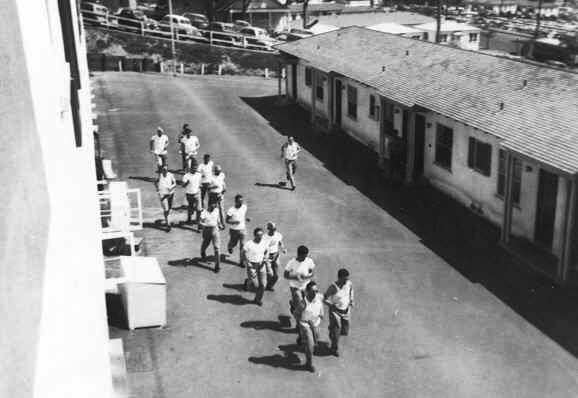 She would visit the base on each Armed Forces Day to see the men of the 434th in action. She is quoted; "They all are such fine young men. 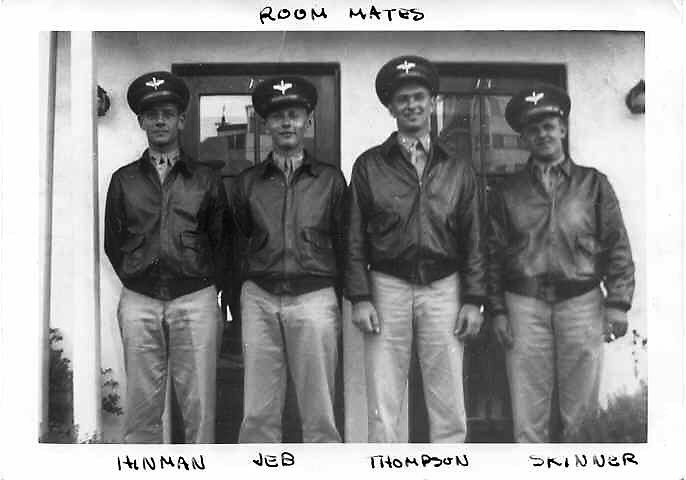 Their accomplishments are a wonderful tribute to my son." 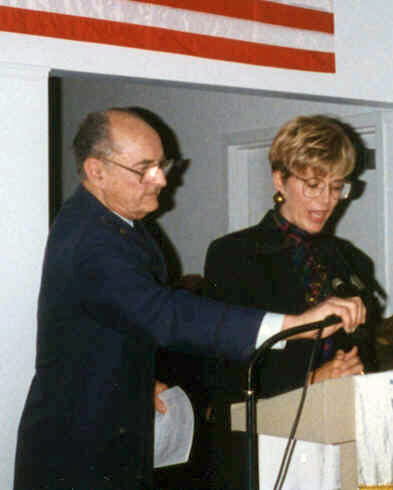 Sue Bakalar Higgins with Major General (Ret.) 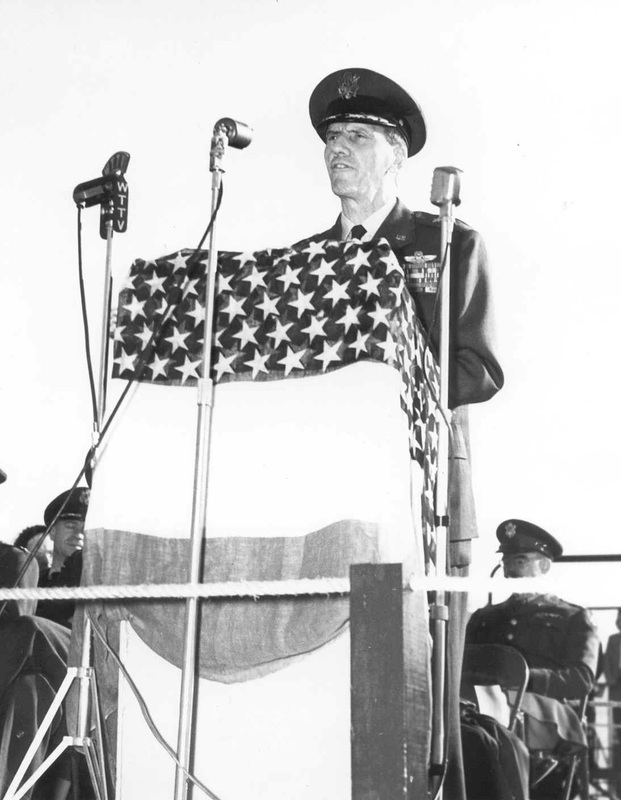 John Hoff at the Atterbury-Bakalar Air Museum dedication November 11, 1992. Suzanne and Robert on Bakalar Green during November 11, 1991 dedication. "I want to thank the Mayor for inviting me to Bakalar for this dedication ceremony. 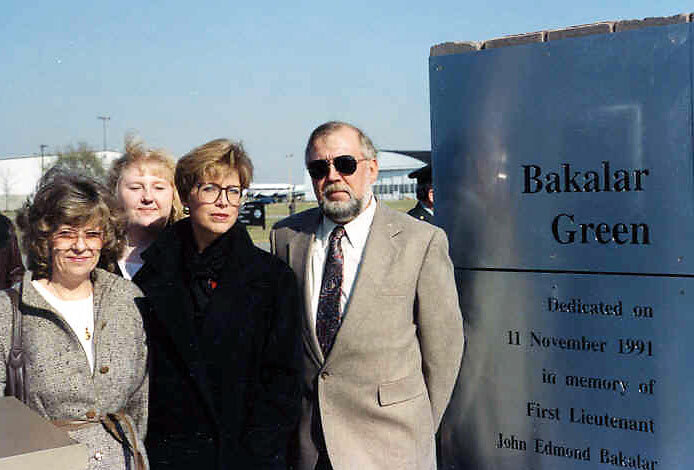 The Bakalar Family all share in the memories of this base being named for my father in 1954, and the monument ceremony held here last November 11th. And so today, I am participating in another ceremony where my father's name is again honored. It is my pleasure to officially dedicate this building as: The Atterbury-Bakalar Air Museum, in memory of General Atterbury, and my father Lieutenant John Edmond Bakalar and all personnel who served at this base from 1942 to 1970." 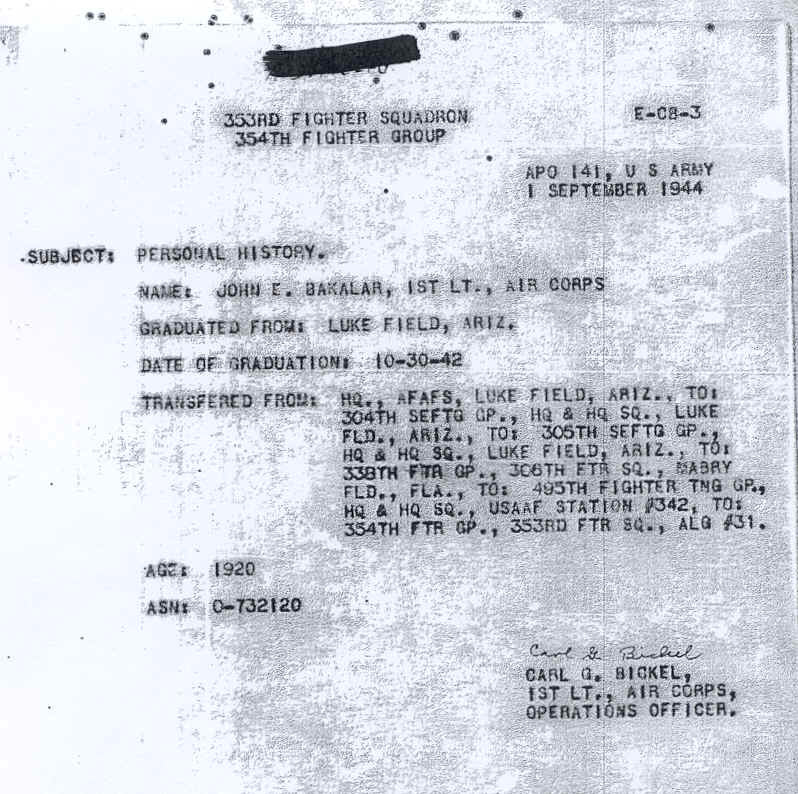 This newspaper clipping of John "Buck" Bakalar's obituary is one of the artifacts that was donated to the Atterbury-Bakalar Air Museum. Brief narrative of accident. Includes state of responsibility and recommendations for action to prevent repetition. 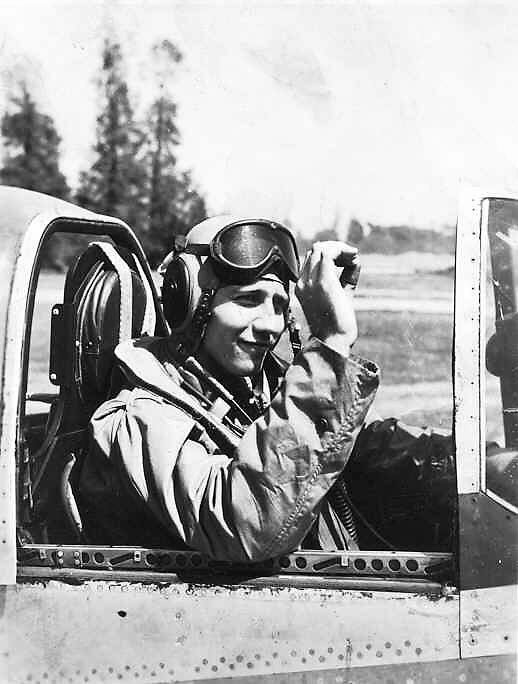 On 1 Sept. 1944, 1st Lt. John Bakalar taxiied out for take-off on an operational mission. 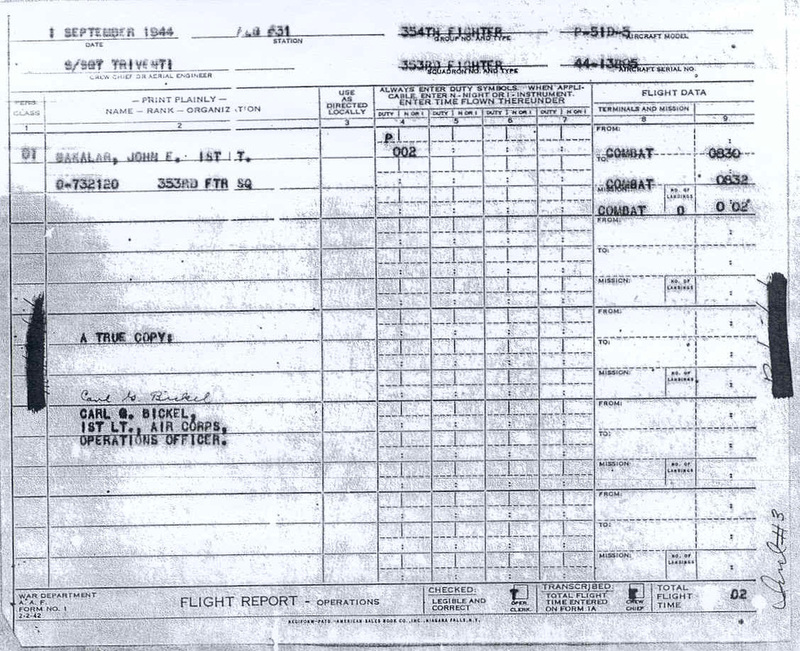 As he gave the aircraft throttle for take-off, coolant was observed coming out left and right bank exhaust stacks. Just as the aircraft cleared the end of the runway the engine faltered and lost power rapidly. 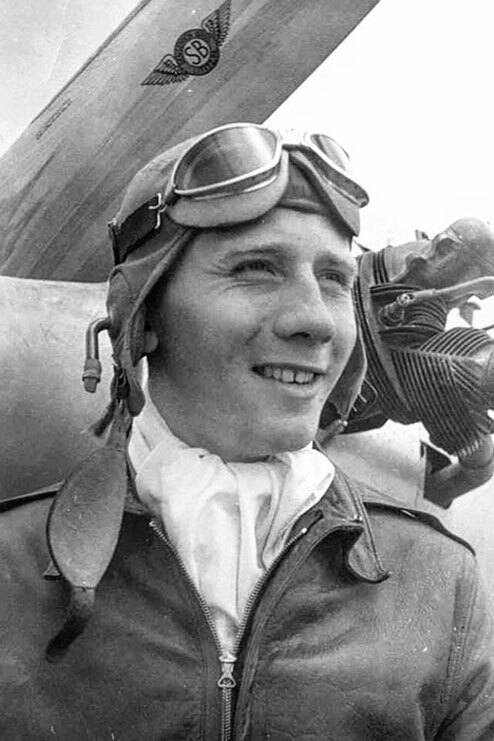 The pilot had no alternative other than to crash land the aircraft in a grove of trees. injuries to the pilot were fatal. The aircraft was demolished. Subsequent lengthy investigations reveled the accident was caused by 100% material failure. Letters and photographs attached heron set forth the nature of the material failure in detail. 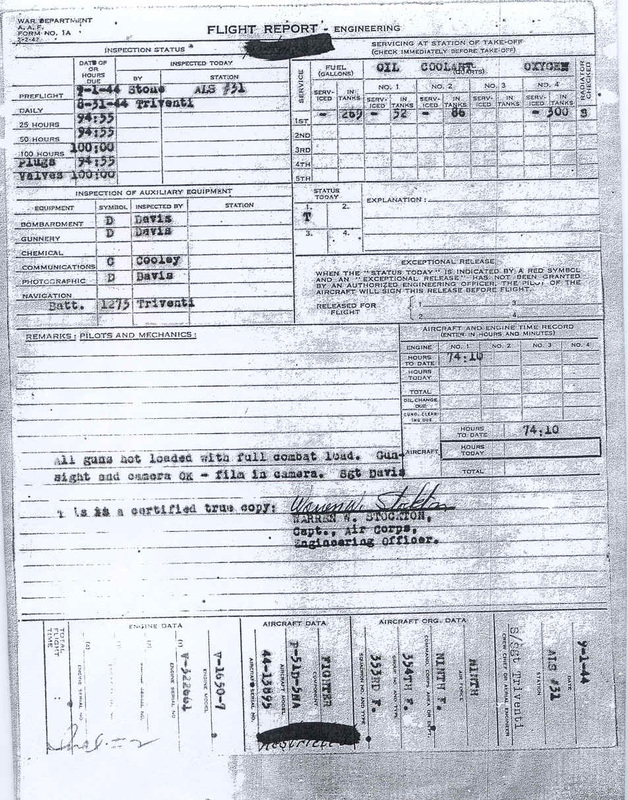 This is to certify that I, 1st Lt., Carl G. Bickel, authorized the flight on which 1st Lt., John E. Bakalar, in P-51D-5, AAF no. 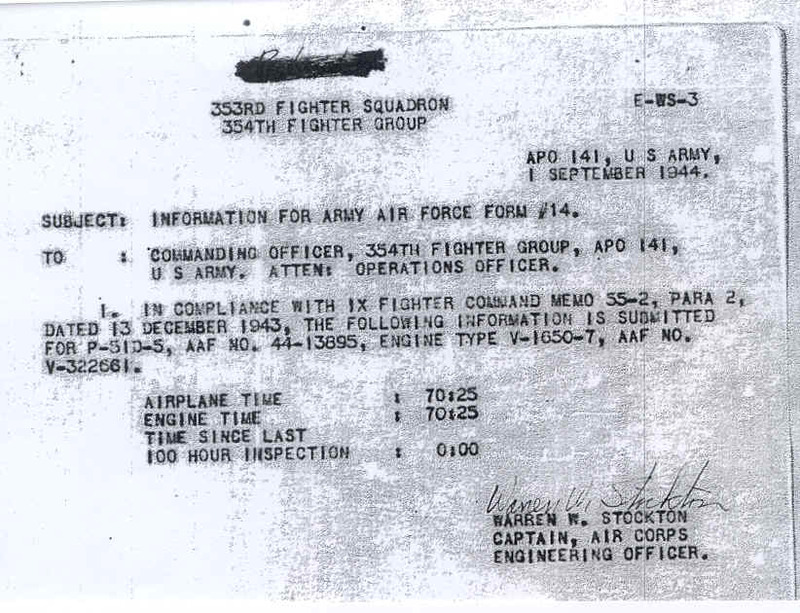 44-13895, Had an accident while taking off on an operational mission. The accident was fatal to the pilot. 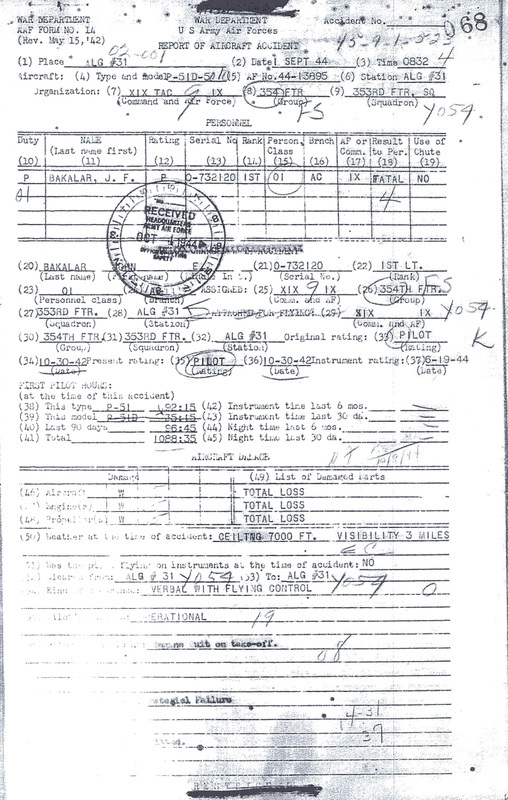 Investigating the accident of FT-J, aircraft serial number 44-13895, I found the aircraft had crashed into a pine grove. The crash had completely demolished the airplane and it became a total loss. The engine was removed from the scene of accident and carefully examined. A faulty casting of the first stage supercharger housing was found. This allowed coolant to seep past the seal into the induction system, causing engine failure. Coolant was found in the induction manifold in considerable quantities in three cylinders. Evidence of coolant was found on all plugs. The cause of the accident is faulty material. Attached is a photo of the defective part. 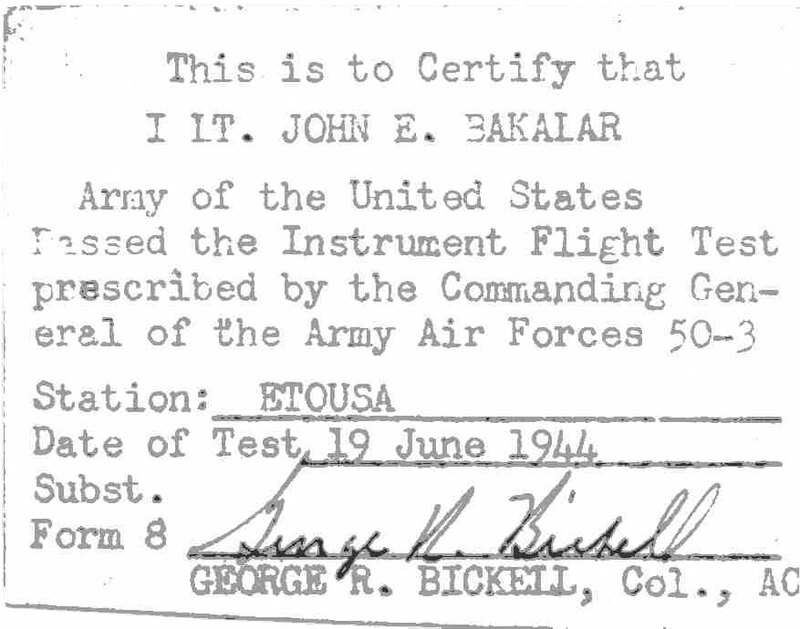 Did you train or serve with 1st Lt. John E. Bakalar? 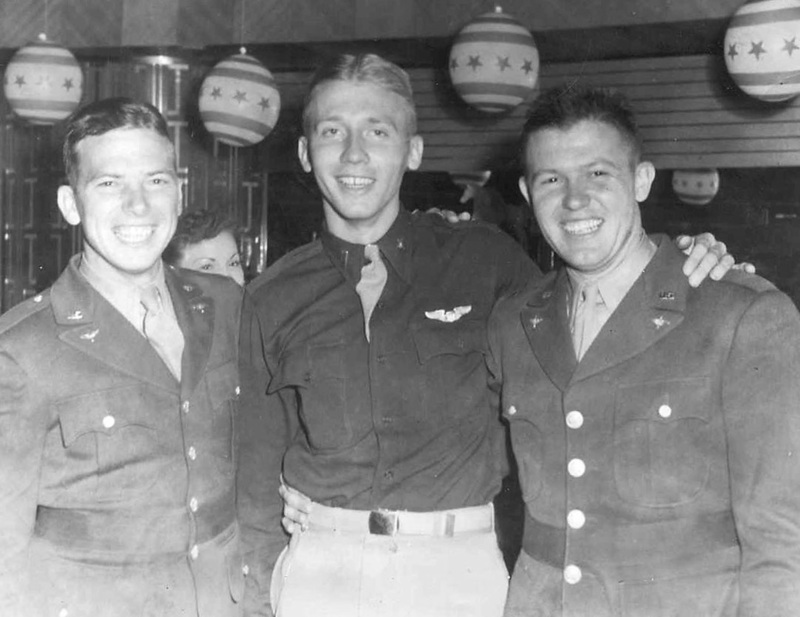 If you did, please share your story with the Atterbury-Bakalar Air Museum.